1. 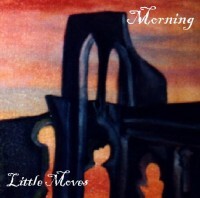 Morning... atmospheric pop... progressive rock... but above all just plain heavy metal too! 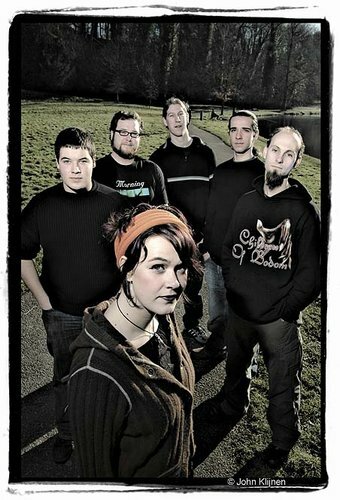 Morning was founded in the summer of 2000 by Saskia van Heugten (vocals) and drummer Mauro Pi (drums). In autumn 2000 the brothers Pol Bannier (bassguitar) and Stijn Bannier (synths) joined the band. After working for two years with just one guitarist and releasing two demos in 2001 and 2002, the Dutch band decided in summer 2002 to continue with two guitarists. The remaining members found Martijn Brauwers and Bas Rensen. The band calls its style dreammetal, with influences from bands like The Gathering and Ayreon, but also Soilwork and Killswitch Engage. With Bas and Martijn the band is more powerful and intense like never before. In August 2003 the band released new demo-EP called 'Inside'. 'Inside' got raving reviews from the (inter)national press! A debut album was recorded by the band in the summer of 2004. This is "Hour of Joy" and was released worldwide in September 2005 by Black Lotus Records. The album was recorded in the PITStudio in Weert and mastered in the Athens Mastering Studio. In some intro's you can hear a choir, which was recorded in Leuven - Belgium, and a guest appearance from Arjen "Ayreon" Lucassen. In the current line-up Morning creates a decent name in live performing. Since Winter 2002 this results in countless performances in and outside of The Netherlands, which is remarkable for an unsigned band. Thus the band stood no less than 80 times on stage in 2003 and 2004. Morning played at festivals such as Summer Darkness, Metal Female Voices Fest, Novemberrain, OccultFest, GothTronic, Gentse Feesten, Molfest and Bevrijdingsfestival. The band could not only reach the metalheads when playing with among others After Forever, Autumn, Epica, Orphanage, Lana Lane, Paradise Lost, Therion and Trail of Tears, but also the pop/rock public was reached when performing with among others Blöf, BrainPower and Di-Rect. The band is playing again on a weekly basis with the debut album in the pocket. Among others 't Paard van Troje, Effenaar, Melkweg, Tivoli, Goudvishal and Manifesto are some of the venues in which the band will perform while promoting "Hour of Joy". 2. Morning is a 4-member female pop/rock group hailing from South Korea. They released one album entitled Return to Innocence in February of 2003. One of the members plays violin, and accompanied MC Sniper in his song Gloomy Sunday.